Food which is prepared and served within a short span of time is referred to as Fast Food. The fast food industry in Pakistan is undergoing an escalated boom. Despite fierce competition, this industry has managed to generate profitability and is well-received by the local masses as well. Recent statistics have revealed that fast food industry is the second largest in Pakistan, with approximately 169 million consumers. Not only that, but this sector also accounts for 16% of the total employment in manufacturing sector. An industry with such dynamics has a great probability of exceptional growth in future as well. Respondents primarily belonged to SEC A1, A2 and B. The sample consisted of males and females. Geographically, the sample was extended across three major cities of Pakistan namely Karachi, Lahore and Islamabad/Rawalpindi. The responses verified that a larger proportion of females are visiting fast food chains than their male counterparts. The results proved that KFC and Pizza Hut have emerged as the most consumed fast food chains among both the genders and also, across both the age groups. Another interesting key finding was that McDonalds was more popular in females than in males. Reportedly, 42 percent females consume McDonalds as compare to only 33 percent of males. Similarly, is the case of Nando’s, 21% of the female respondents agreed to regularly visit it as compared to 12 percent male respondents. Chicken Cottage ranks as the least preferred among both the gender and also across both age groups. In terms of preference of fast food among the two different age groups, an interesting discovery was unearthed. The survey results demonstrated that the average frequency of visiting Fast Food chains is almost once per week for both the age groups. Even though, youngsters are more likely to visit more, still mature adults have demonstrated a higher proclivity towards fast food consumption. Except Dominos’s and Chicken Cottage, all the other fast food chains are more popular among the mature division. • In case of Karachi, Pizza Hut, Bar B Q Tonight, Nando’s and Arizona Grill are performing way better than in other two cities. • Hardee’s is performing slightly better in Lahore than other two cities, likewise, Subway is performing marginally well in Karachi. Pakistan is a land where various cultures co-exist and this disparity is reflected in the eating habits of the general population as well. Recently, remarkable transformation has occurred in food consumption of the Pakistani masses. Fast food consumption has increased radically. This dramatic shift towards fast food consumption is primarily because people prefer convenience and good taste. Because of the emerging market trends in this particular industry, the casual taste among the masses is now congregating. 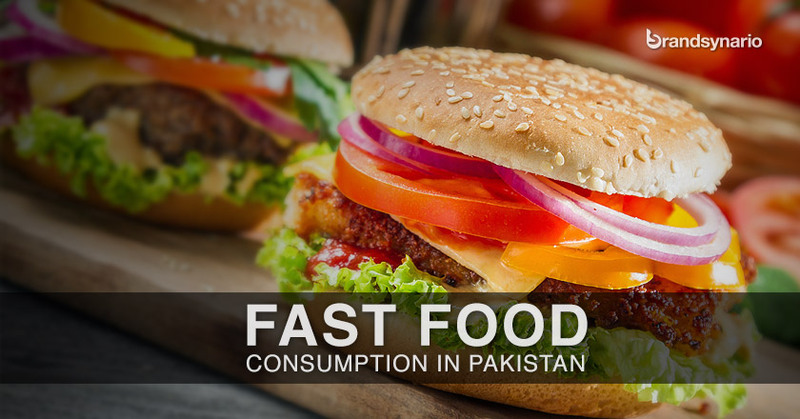 The changing consumer preferences, shifting lifestyles and presence of multinational chains have further facilitated and triggered fast food consumption in Pakistan. The aforementioned survey results also indicate the dominance of multinationals, this is because these chains have resorted to market led approaches and transformed their menus in order to satisfy consumer needs. Reportedly, fast food industry in Pakistan is still in its ‘infancy’, as quoted by McDonalds Pakistan’s Country Director. Moreover, recent statistics also demonstrate that growth in fast food in augmenting 20% annually, which implies that this is one the fastest growing businesses in Pakistan. Also, this signifies a hefty untapped market which can be exploited by local as well as international brands. Although Pakistan is considered to be a dawdler in technology and various other sectors, but one cannot deny the exceptional growth and the potential that fast food industry inherits in Pakistan. Not only its development can contribute towards macroeconomic stability but also, latent needs of the consumers can be met.